Use this guide as a means to navigate through the forums. Here we will go over some basics tools that you will need to get started. Please familiarize yourself with the Rules and FAQ before we begin. These forums have Administrators & Moderators that serve as our eyes and ears. To understand their functions and the roles they play in the forums, please see here. To contact a specific Mod or Admin, please see here. • What are the differences between topics and posts? Topics are articles users create to initiate discussion. This may also be referenced as a thread. Posts are responses users submit within those particular topics. Users who are attempting to gather the Marketplace requirement in order to sell, please see this. • What are announcements and stickies? Announcements are topics that appear at the very top of a forum. 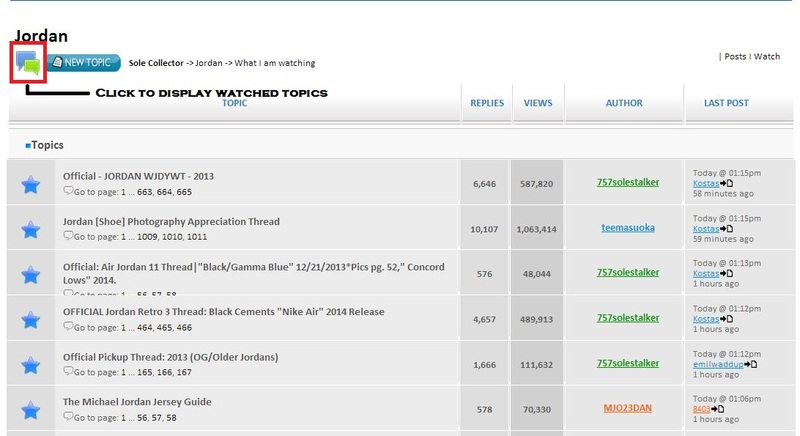 They'll appear at the top of any page while viewing topics in a forum. They often contain important information that all members should view, such as news & rules. Only Admins & Mods can post announcements. Stickies are topics that appear after Announcements at the top of a forum. They contain important information, or information that is referenced often. Only Admins & Mods can post stickies. At the top of every forum or preexisting topic there is a New Topic button. To create a topic, click this button and add your entry details. At the bottom of every topic there is a field in which you can enter your post. 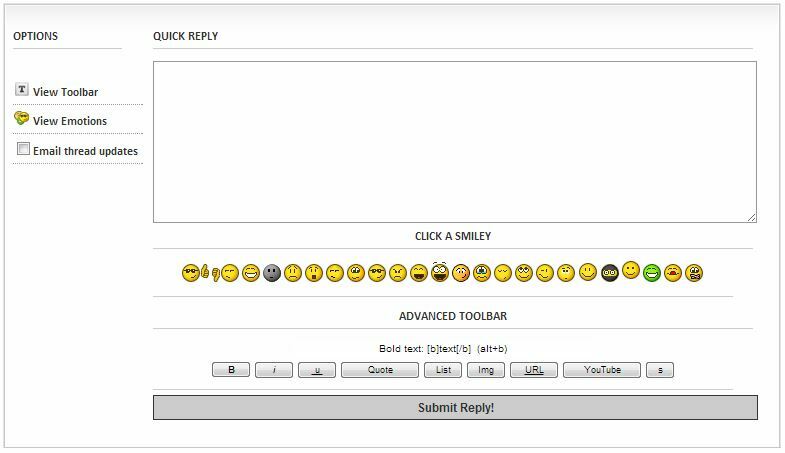 A toolbar is located to the left of the field for ease of access as well as options to insert emotions or smileys. At this time, users are not able to delete topics they make nor posts they create. If you made a mistake, please contact a Moderator. Otherwise, you may edit instead. To edit a post, navigate to it and in the upper right hand corner of the entry you will notice the button. Click to edit your post and hit "Submit Reply!" to confirm. To upload an image and insert it in a post, we suggest you use an external picture hosting site. Otherwise, you may upload your image in your own Album. Under the Advanced Toolbar in the reply field, click Img, then the link to the picture, then click Img again. To get a better understanding on how code inserts work on the forums, please refer to the BBCode FAQ. • How do I search for a member's profile? The easiest way to search for a member's profile is on the main page (index) of the forum. A search field is located on the upper right hand area above the forums. Type in a name and you will be directed to the member's profile where you may locate various points of contact as well as their feedback and listings. You may also obtain a member's profile by clicking their name from a post they have made in a topic. • How do I private message a member? To private message a member, locate their profile or by clicking their name in a post and select the button. If there is an email option you will see the button. • How do I add sneakers that I have or want in my profile? At the top menu, click Archive and select sneakers in our archive that you either have or want. By making selections, the shoes will be added to your profile when refreshed. • How do I manage my profile? At the top menu, click Manage Profile. From here, you will be able to fill out any details you wish including a personal signature, an avatar and password changes. • Where can I access all my messages, my profile and Marketplace details? Everything is housed in the My Control panel of the board. This is your personal access area where you are able to create messages, edit your profile and monitor listings and transaction details. • Where can I see what topics I am following / subscribed to? There are two ways you can view this. 1. Click My Control and you will be able to view ALL the topics you are subscribed to. 2. Click on a forum and hit the Discussion bubbles which will be located at the top of the forum you are viewing next New Topic. You will be able to view all topics you are subscribed to within that specific forum. • How do I access the Marketplace? When accessing the Marketplace, please keep in mind our Marketplace Safety Guide. It is required for all transactions made in the Marketplace. At the top menu, click Marketplace. From here, premium listings as well as recently added and/or bumped listings will appear at the top of the front page. There is no requirement to purchase items or create listings as Wanted ads. However, we do have in place a requirement to sell and that requirement is to become a member for at least 3 months AND gather 50 posts. 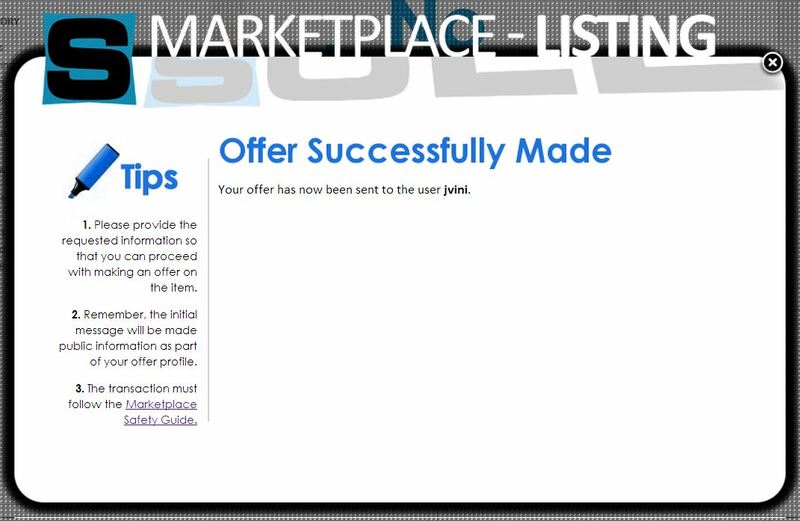 Please see here for more information regarding requirements necessary to beginning selling in the Marketplace. • How do I create listings? Once you have successfully met the 3 months AND 50 posts requirement, you will be eligible to sell. Again, there is no requirement to create a Wanted listing. 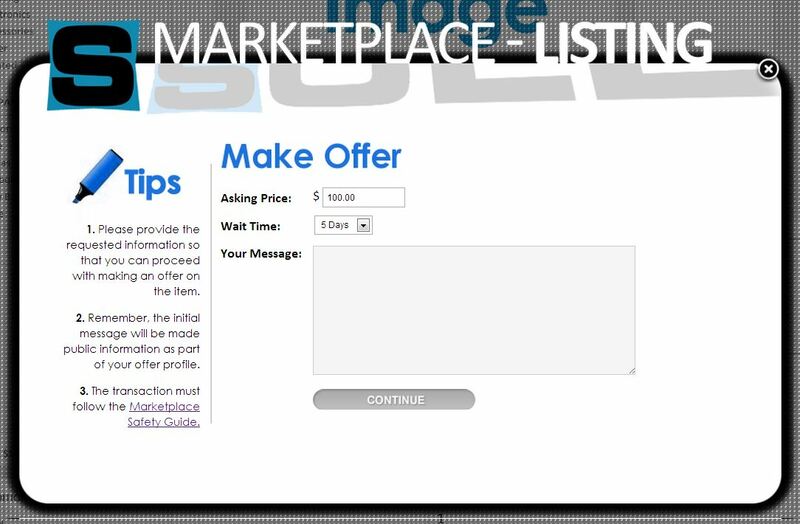 To get started, navigate to the left hand side of the Marketplace where there is a menu along with 3 options to list. Click the tab that best fits the description of the item you would like to create. Note: It is strongly suggested to pop the video out and watch in 1080p HD. • How do I bump, relist, delete, etc. my listings? 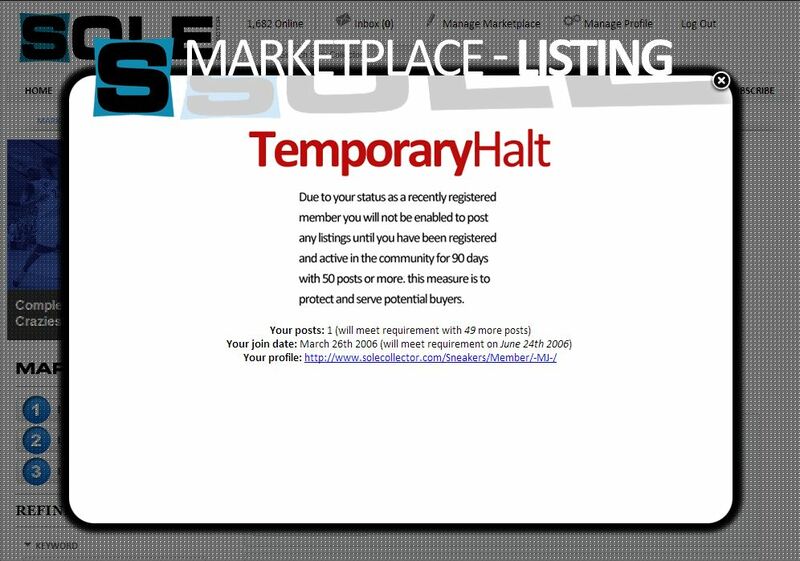 If a listing expires, you'll receive a pm and/or email notification to relist your listing. 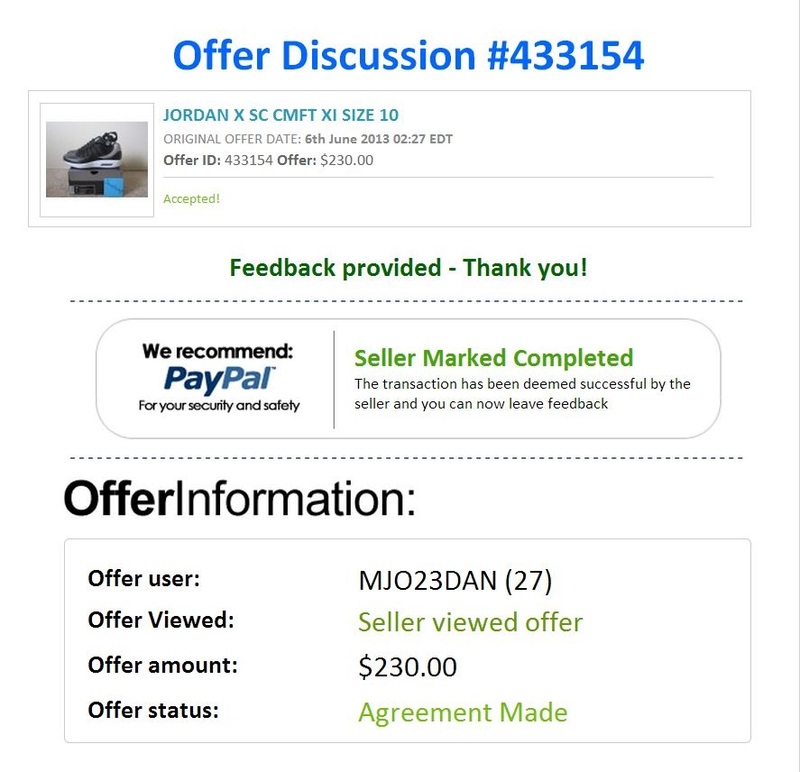 You can click on the link in those messages to automatically relist your items or you can modify your listing with the below option. Bump: There are two ways you can bump a listing. Bumping will bring your listings to the top of the Marketplace. 1. Locate the button on your listing. This is usually located just below the offer button. 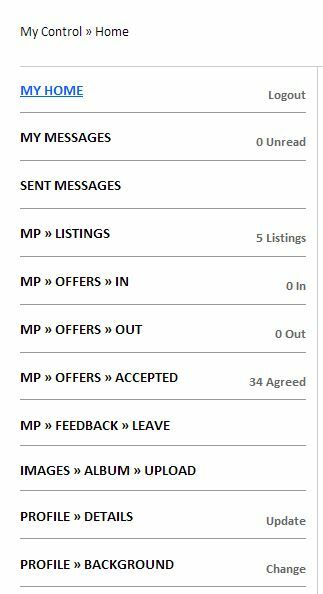 Relist: Same as the bump action in the same areas, You can relist your listings by clicking the button and that will renew your listing or wait until your listing expires and click on the link provided in the pm or email notification. Delete: To delete your listing, navigate to My Control and click on Marketplace Listings. An "X" is located next to your listings. • How do Offer Discussions work? If you are the prospective buyer, offers are submitted to a seller's listing that will either be accepted, counter offered or rejected. It is the initial point of contact you make to initiate a transaction. Terms & conditions are stated on the offer and carried throughout within the Offer Discussion. Both parties should be clear on what the transaction entails (ie., double boxing, priority mailing, signature confirmation, etc). This is all important matter once the transaction concludes and feedback is exchanged. Once that's set, the seller has the option to view the offer and will either accept the offer, make a counter offer or reject the offer altogether. If the seller does not view the offer under the wait time you have designated, the offer will expire. It will be up to you to submit a brand new offer on the listing or to walk away. If the seller accepts your offer, you are both lead to what is now a binding agreement to purchase or an Offer Discussion. Please keep all communication within the Offer Discussion. Should a dispute arise, Mods/Admins will need to reference and track the details of the transaction as it took place. If you need to dispute a transaction and it is in accordance with the Marketplace Safety Guide, please open a ticket. • How do we finalize an Offer Discussion & leave feedback? Once the transaction has been completed, the seller has the ability to mark the Offer Discussion as "complete". If the seller feels that the Offer Discussion was invalid, the user flaked, or any other reason that complicates the transaction, the seller may mark the Offer Discussion as "incomplete". Only the seller has the ability to finalize an Offer Discussion. For more information on finalizing an Offer Discussion, please see here. 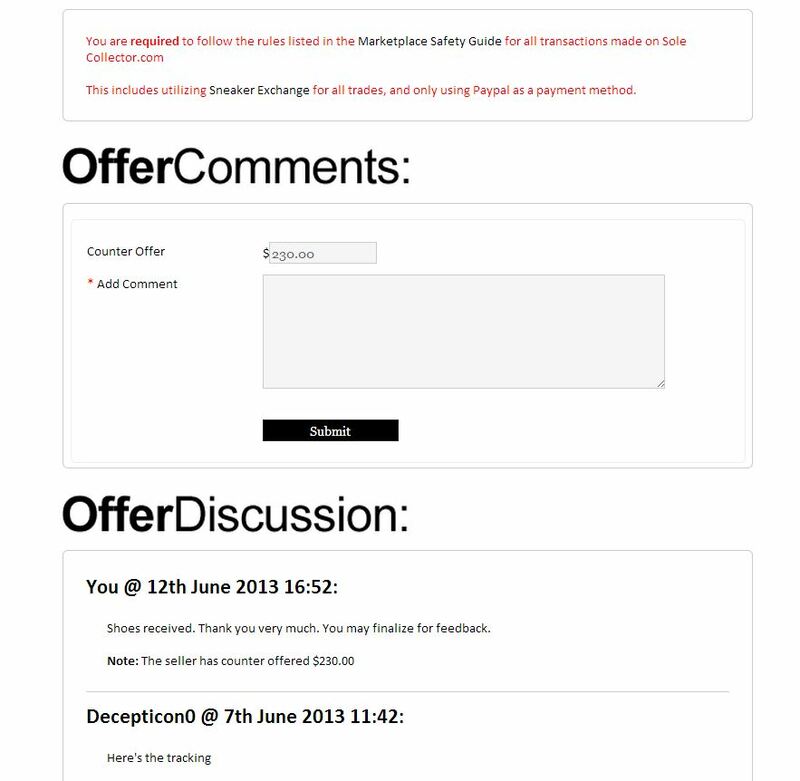 A dropdown menu will appear within the Offer Discussion once the seller has finalized it. • How do I access my feedback? You may access your feedback at anytime by clicking the feedback # in your profile. To learn more about feedback, see here. The statistics box is your analytics area for feedback. This is where you and other members monitor transaction scores. It would be ideal to keep it active and on a positive stance so your reputation in the Marketplace holds value. The total feedback number is reflected upon your entire transaction history to date. It is inclusive of repeat customers. Meaning, if you initiate a transaction with a user you have dealt with in the past, this number will not change. Total feedback changes with every new user you deal with upon completion of a transaction. The difference in the positive, neutral and negative areas of the score may be significanly lower than your feedback score. That is because this tally has been kept since the transition to this new site platform in 2010. Please see note on older feedback. • Am I able to access details of a transaction in the feedback comments below the statistics box? No. Offer Discussions are private and are kept between those two individuals. This area holds private information between buyers and sellers. If you wish to obtain a buyer's experience with a seller and vice versa, please pm the user. If you need to dispute a transaction and it is in accordance with the Marketplace Safety Guide, please open a ticket. For all other inquires, please refer to the Rules and FAQ of the site. Thank you!